Lawyers with a South Bend, Indiana law firm have filed suit against 62 hospitals throughout the state, claiming they falsified records regarding release of electronic medical records and defrauded taxpayers of more than $300 million. The law firm, Anderson, Agostino & Keller confirmed the filing of United States v. Memorial Hospital of South Bend Inc et al, which was recently unsealed and alleges the hospitals made false claims in order to snag federal grant money from the HITECH Act and participated in a scheme to pay kickbacks by overbilling for the release of electronic medical records. The HITECH Act created grant funding for hospitals that voluntarily participated in a program to encourage the use of electronic medical record systems. The law also included a statute that gave all Americans the right to obtain their electronic medical records from hospitals easily and inexpensively. In order to receive grant funding, Indiana hospitals agreed to track, report, and provide access to electronic medical records at patients' request. "We wish to be clear that this case does not involve allegations of individual wrongdoing by hospital administrators, or that local hospital administrators are personally benefiting from any noncompliance," the firm said in a statement. According to a local report, the two lawyers who filed the suit, Michael Misch and Bradley Colburn of Anderson, Agostino & Keller, actually brought the suit in 2016 after they experienced trouble obtaining medical records from local hospitals as they worked on various personal injury and malpractice cases, the article said. The lawyers tracked instances with four hospitals where they received electronic records, including Memorial Hospital of South Bend, Saint Joseph Regional Medical Center in Mishawaka and St. Joseph Regional Medical Center in Plymouth, starting in 2013. They kept track of how many times they got the records within the prescribed three-business-day period and compared their findings to the hospitals' public reporting. According to the Tribune, the lawsuit alleges that in 2013 Memorial Hospital logged 16 requests for electronic medical records and claimed all 16 were provided within the required three business day period. However, Misch and Colburn reported that between April and December 2013, they only received records in an electronic format once and none of the records were issued within three business days. They claimed other similar discrepancies occurred. At least two of the hospitals named in the suit belong to Saint Joseph's Health System. "Last week, we learned Saint Joseph Health System was named in a lawsuit filed against 62 Indiana hospitals. We strive to be a trusted community partner and are actively investigating the allegations," the system said in a statement. Beacon Health system is the parent system for Memorial Hospital, which is also prominently named. Through a spokesperson, the system said "Memorial was made aware of these claims last year, and cooperated completely with all inquiries, after which the government declined to join the lawsuit. Quite simply, the claims are without merit." All four hospitals tracked by the lawyers contracted the handling of their medical records requests to Georgia-based CIOX Health. The company has been named in the suit as having violated the federal Anti-Kickback Statute and state law for allegedly overbilling patients for their own medical records. The lawyers later added 58 other hospitals to the lawsuit for similar behavior. 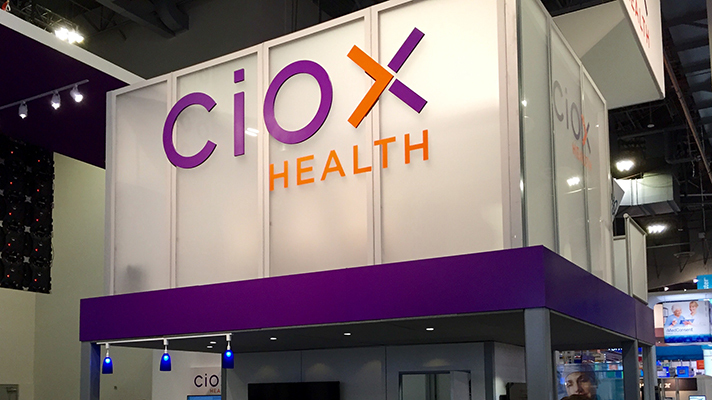 To date, CIOX Health had not yet responded to a request for comment.